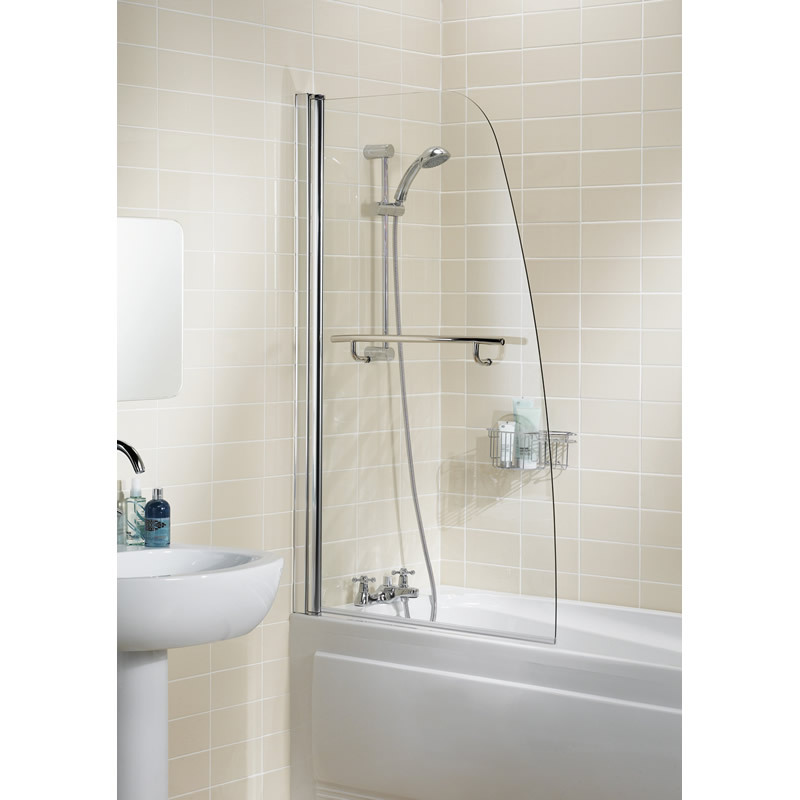 Create the prefect shower enclosure with the gorgeous Sculpted Bath Screen with Towel Rail. This bath screen sports a brilliant contemporary design and is the perfect marriage of form and function. It features a sturdy polished silver frame and a very convenient towel rail. The bath screen stands 1400mm tall and is 860-885mm wide. The glass panel is completely reversible and is designed to fit any bath. It is made from 6mm toughened glass that is also coated with AllClear, at no additional cost. 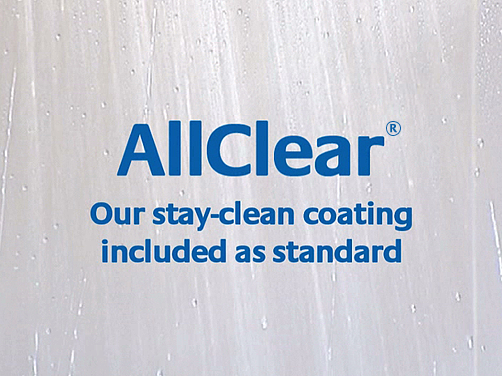 AllClear adds a unique eco-friendly coating that acts as a shield, preventing the build-up of grime. Moreover, it has hydrophobic properties that wash away soap scum and grime as water beads off the glass. The Sculpted Bath Screen with Towel Rail is a superior product offered by Lakes Bathrooms. As such, it is backed with an unmatched lifetime guarantee. 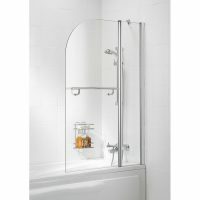 So go ahead and replace your shower curtain or old bath screen with the gorgeous Sculpted Bath Screen with Towel Rail. Ross’s Discount Home Centre offers this product at the lowest price online. Furthermore, you’ll also avail of a 14-day money back guarantee and free delivery to Perth Metro areas when you shop online. So make your purchase today!